Over a decade ago, Pluto was downgraded from planet to dwarf planet. Now scientists have a new theory about the celestial body: that it is a giant comet. Scientists used to think that 4.6 billion years ago, Pluto was shaped like a planet after gas and ice, along with a rocky core, formed a huge globe in the protoplanetary disk of the Sun. But a team at the Southwest Research Institute has developed a new theory about how Pluto forms on the edge of our solar system, the cosmochemical model of the Pluto Formation. Dr. Christopher Glein of the SWRI's Space Sciences and Engineering Division and lead author of the study, said in a statement, "We found a fascinating correspondence between the estimated amount of nitrogen inside the glacier and the amount you would expect if Pluto was going through the Agglomeration of about one billion comets or other Kuiper belt objects similar in their chemical composition to the 67P explored by Rosetta. " But Data on Pluto's very cold ice also allowed the team to spread the idea that Pluto has a similar chemical composition to the sun. So the origins of Pluto remain unanswered. In order to come to the comet and solar models, the scientists studied the amount of nitrogen present on Pluto and also estimated how much of the element could escape from its atmosphere over the aeons. This was considered along with the carbon monoxide levels that are believed to be present in Pluto. 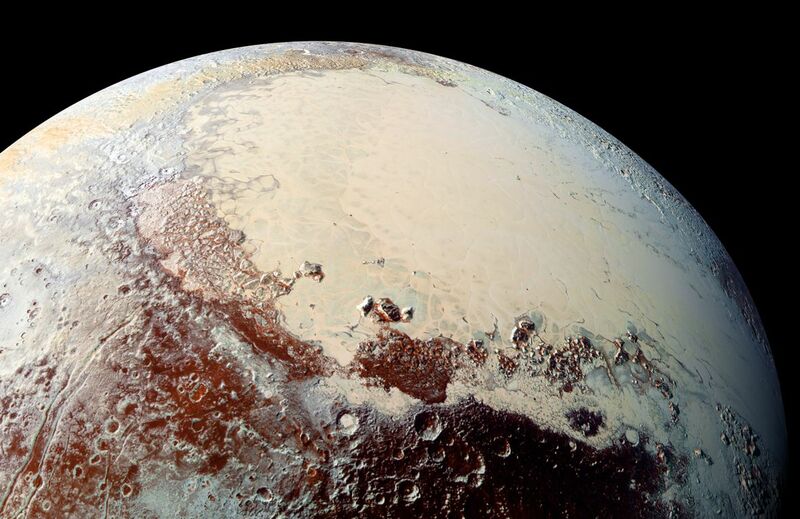 "Our research suggests that Pluto's chemical composition derived from cometary building blocks was chemically modified by liquid water, perhaps even in an underground ocean," Dr. Mirror. He added, "Using chemistry as the tool of a detective, we can trace certain traits that we see today on Pluto to formation processes that took place long ago, leading to a new appreciation of Pluto's wealth "Life story," which we are only now beginning to grasp. "